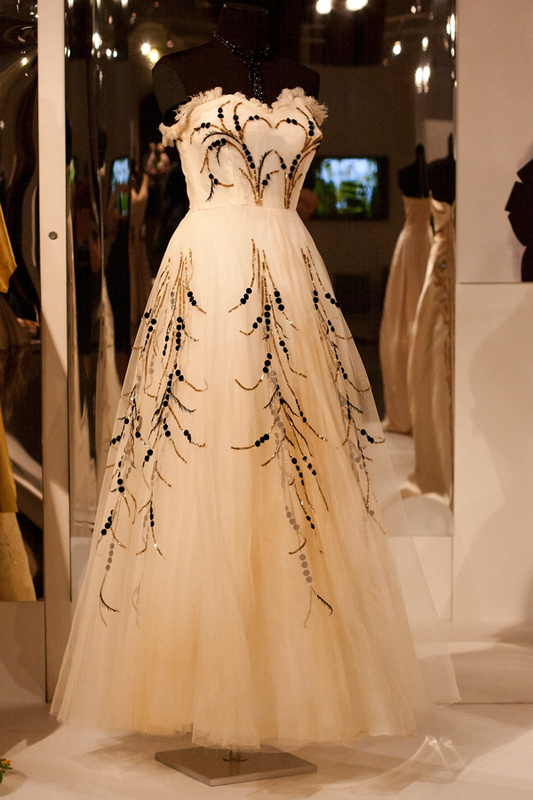 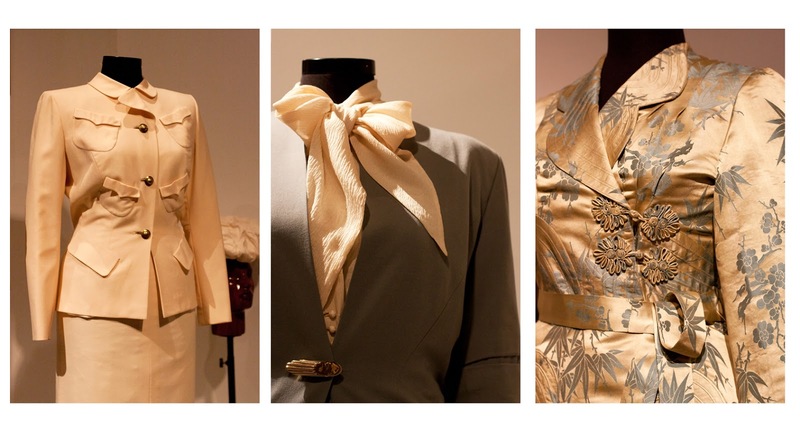 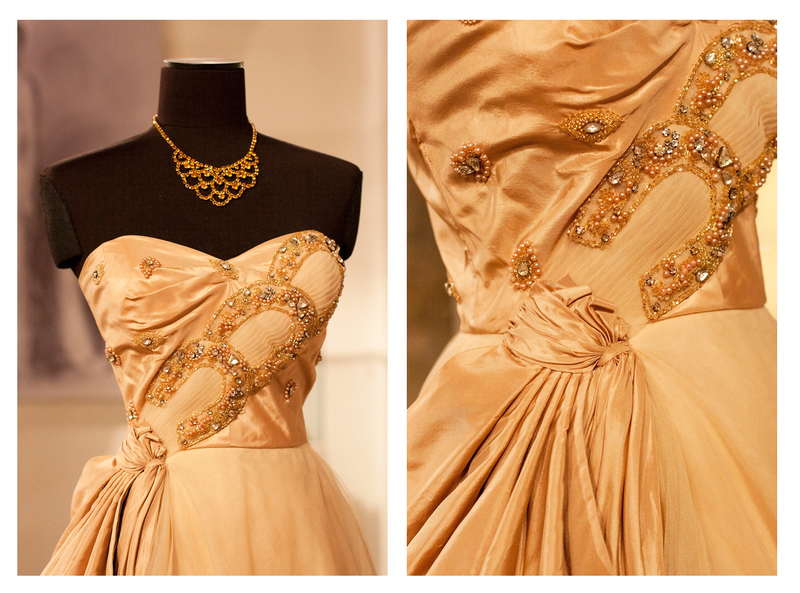 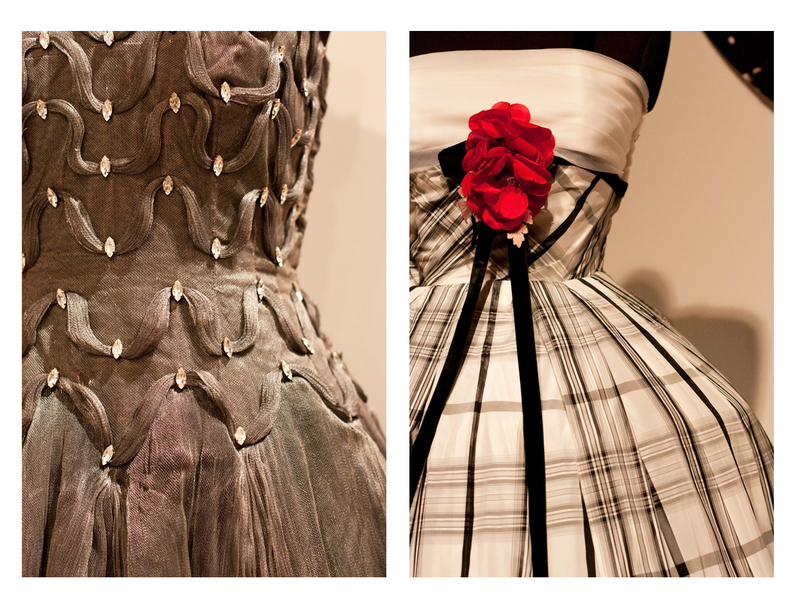 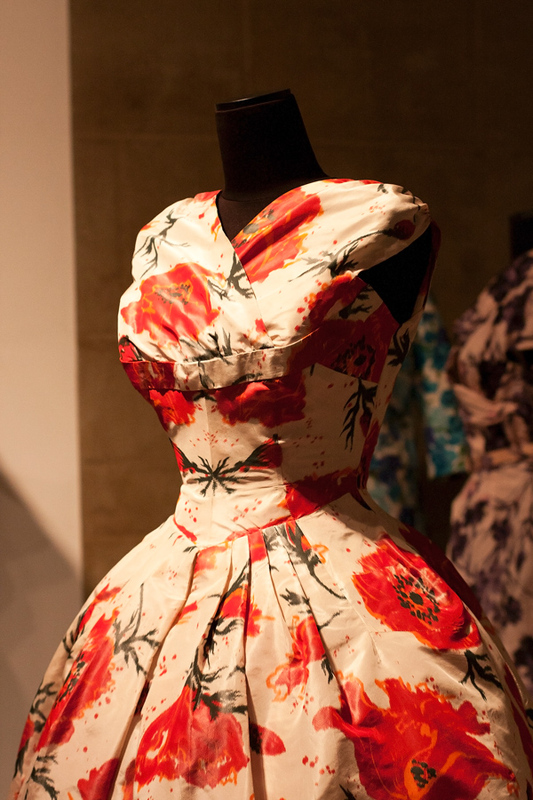 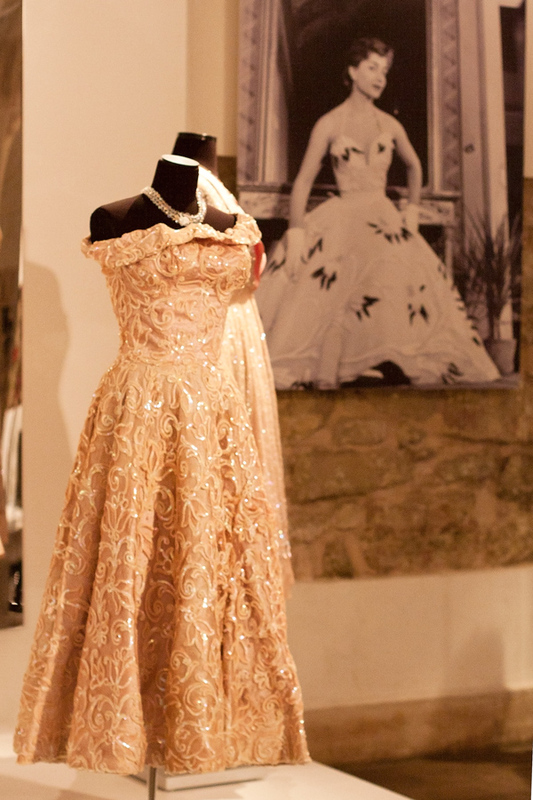 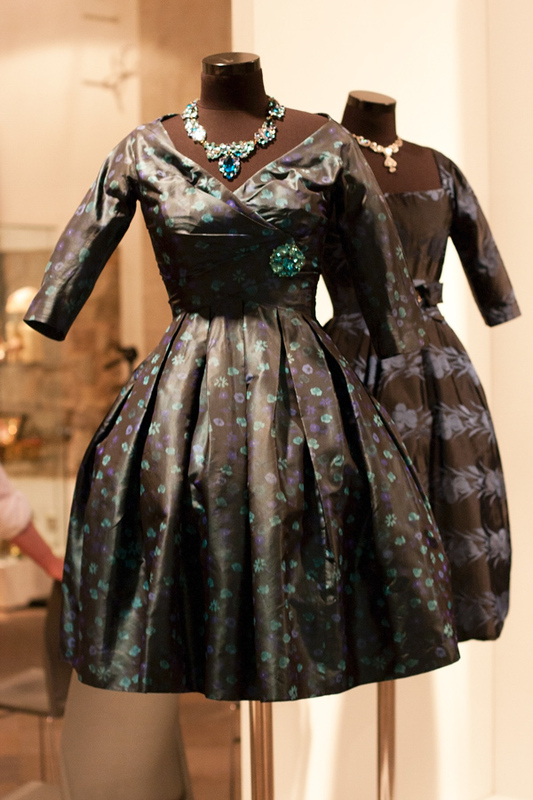 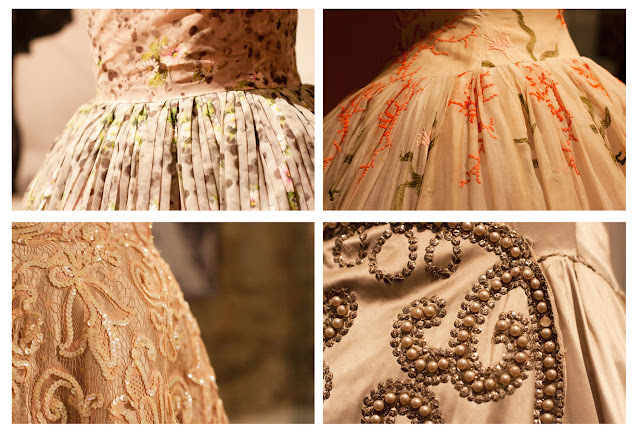 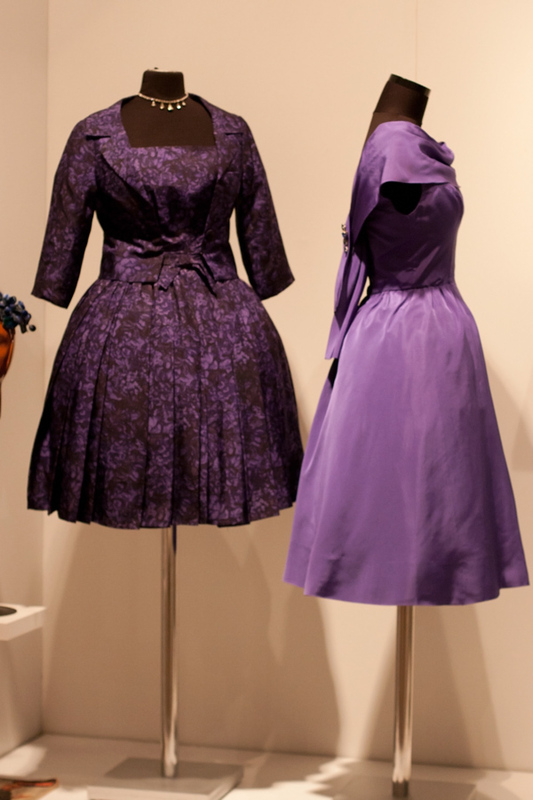 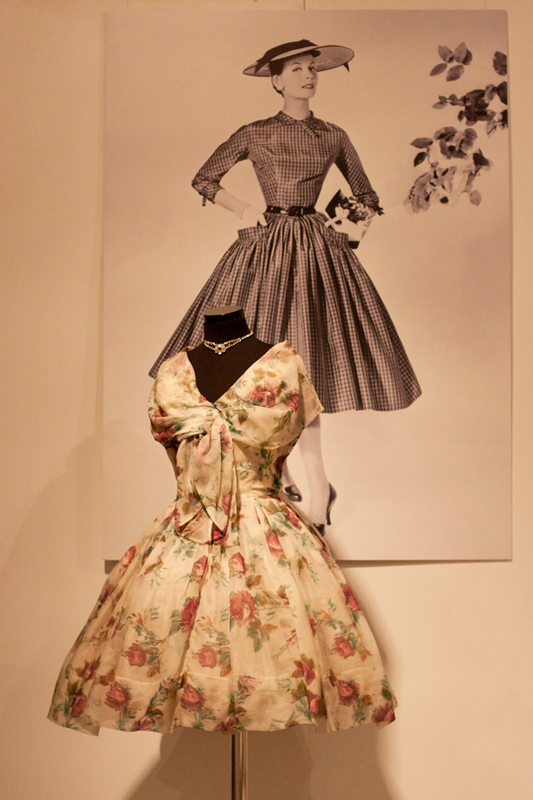 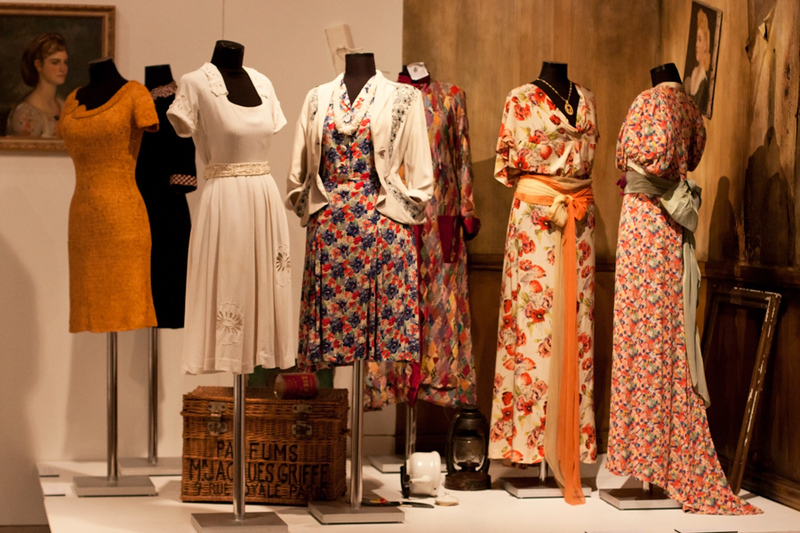 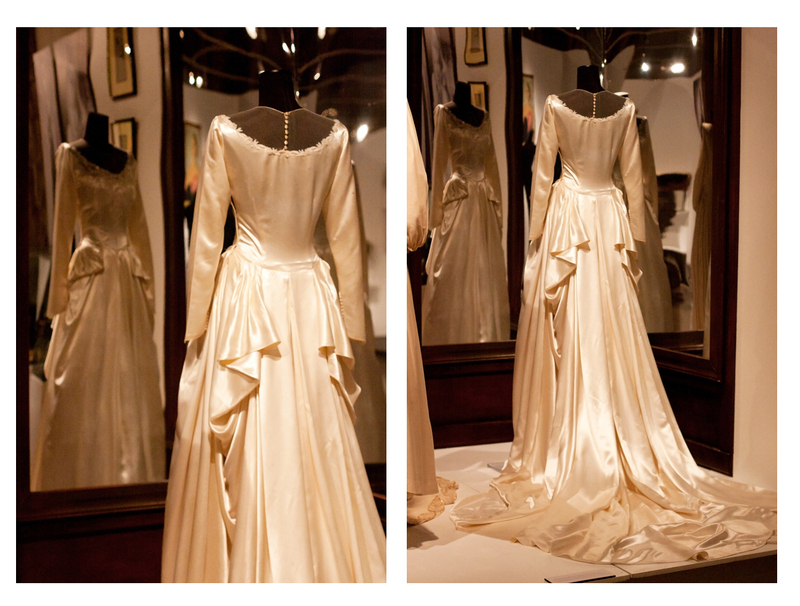 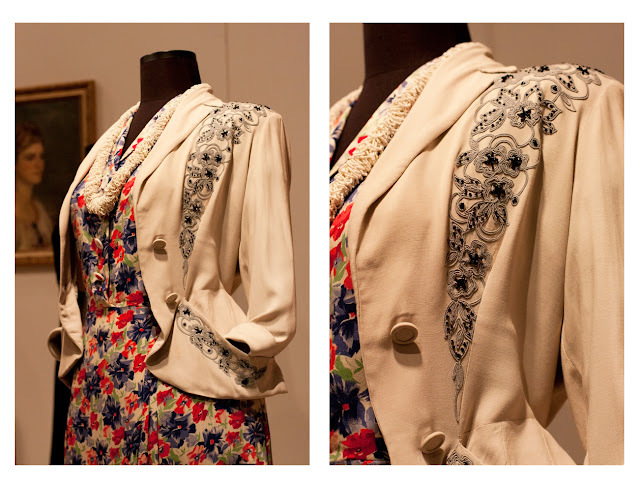 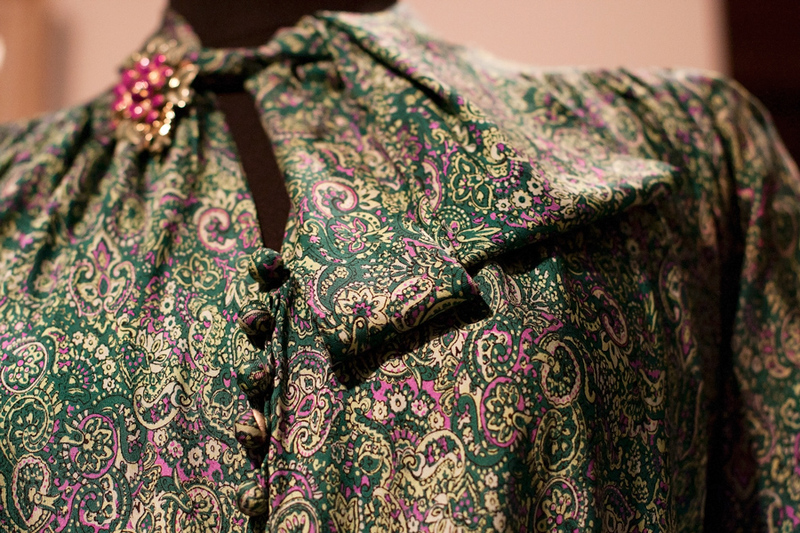 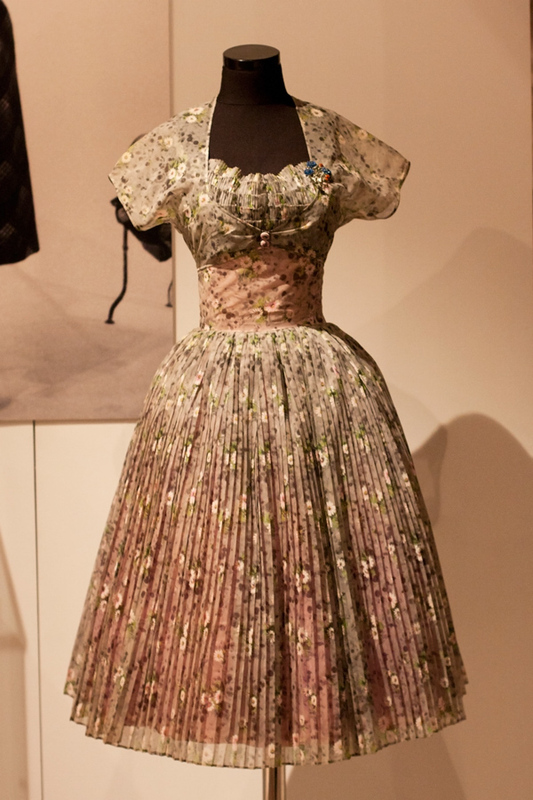 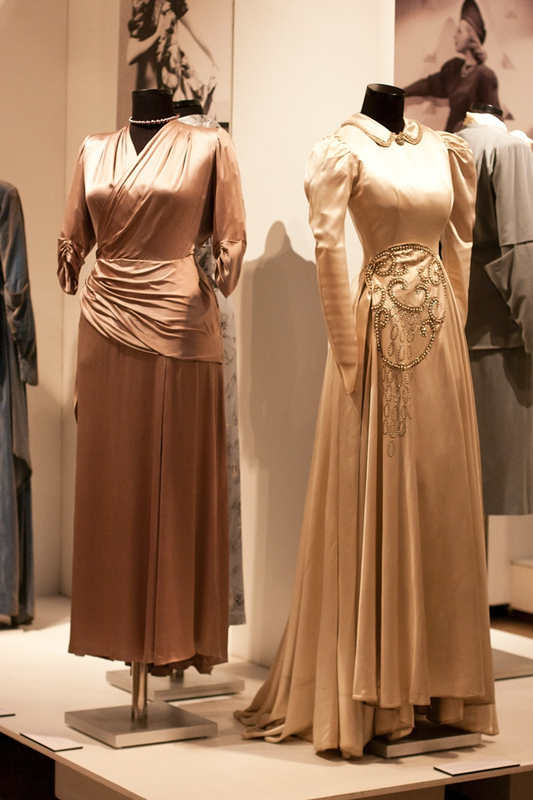 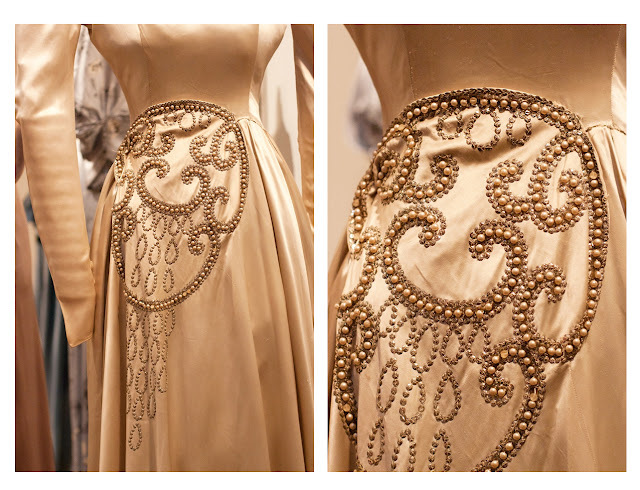 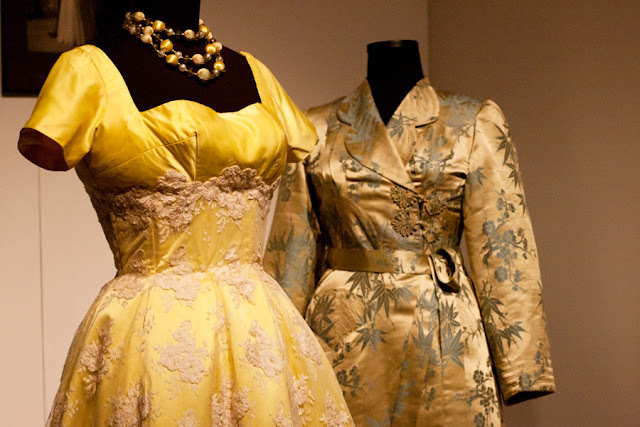 As I already mentioned before, the exhibition is dedicated to the fashion of the 1940s and 1950s. For women it was a period of transformation from masculine military style that combined large buttons, belts, padded shoulders and thick fabrics, into the image of female-flower, full of femininity and grace. 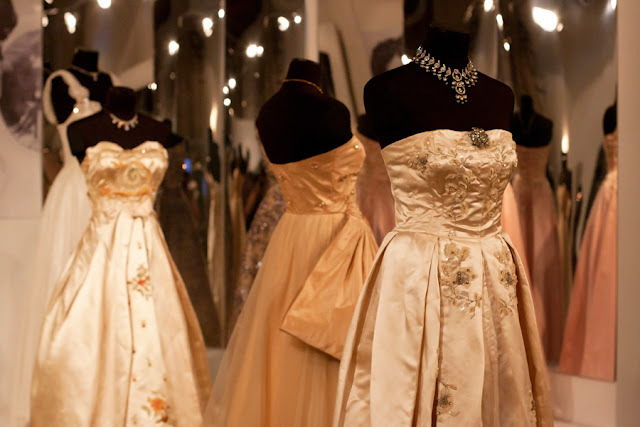 From shorter skirts, platform shoes, high and extravagant hats, french net veils and red lipstick women switched to wide and long full circle skirts, corsages and jackets that tightened waist, sloping shoulders and attractive decollete. 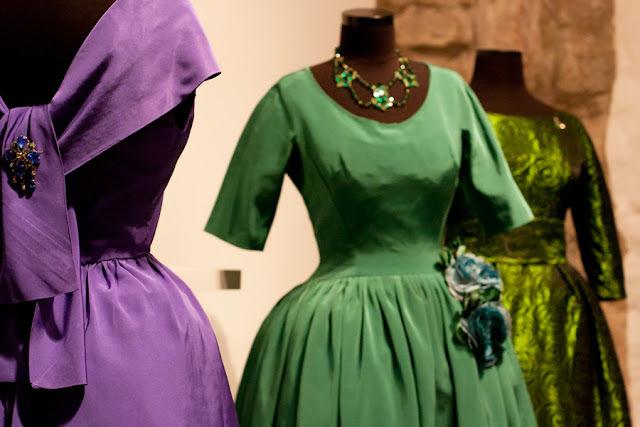 Collection includes works of such designers and fashion houses as Lanvin, Nina Ricci, Schiaparelli, Christian Dior, Pierre Balmain, Huber de Givenchy, Cristobal Balenciaga, Madame Gres, Jacques Fath, Jacques Griffe, etc. 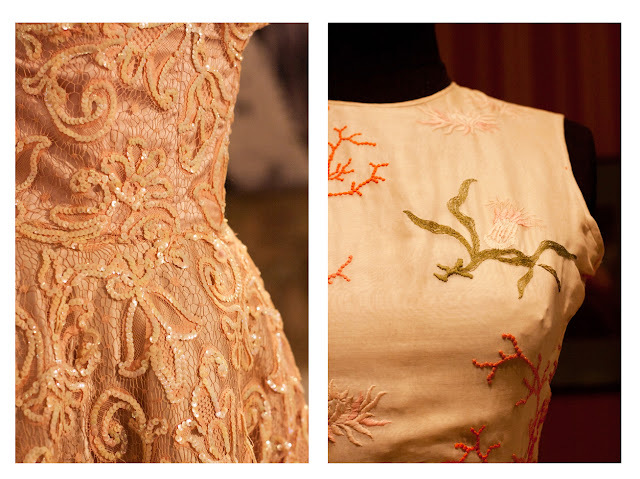 Here you can find more about the press conference and some interesting facts.